I have had my apple phone for eight years, starting with the first generation iPhone and upgrading throughout the years (I have the 6plus) I have dropped my 3 to 4 times during those eight years. It's amazing I did not get a crack screen when my phone falls on the ground. Recently when I had a "smartphone fall scare," I decided to look into getting an iPhone screen protector. I came across intelliGLASS by intelliARMOR and decided I want to try their screen protector. According to intelliARMOR their screen protector are crafted with a unique layering process that combines the following; An advanced silicon base layer that adheres to your phone or tablet screen easily without bubbles, all while leaving no residue. An ultra-hardened real glass layer that has been specially treated to have greater scratch resistance than steel. The screen is oil and smudge resistance. This makes it easy to clean your phone's surface. I love this screen protector, it is a tempered glass screen protector. The screen protector is easy to install on my smartphone screen. There is absolutely no bubbles, no smudging, and no residue. My phone screen looks clean, and the screen protector is almost invisible that you can hardly notice there is covering on your phone screen. 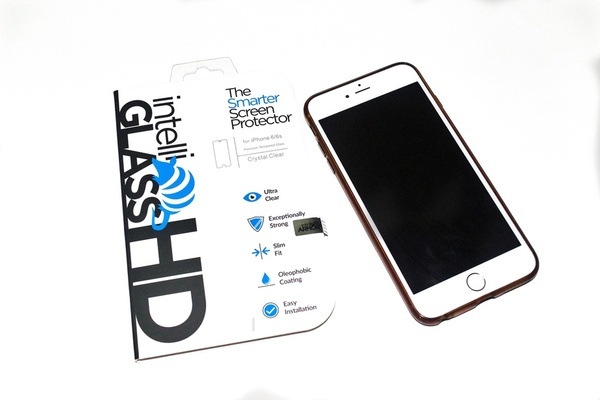 If you are looking for a screen protector for your iPhone, you should check out intelliGlass screen protector. Do you use a screen protector for your smartphone?